ClockShark is a mobile-based time tracking and scheduling software specifically designed for construction and field service companies. It offers solutions for monitoring employee hours, location, and job costs. In this article, we covered user reviews and pricing. Ready to try ClockShark? Get a free trial. Users who gave ClockShark a positive review said that the app makes it easy for them to monitor employee hours for payroll and project-monitoring purposes. They also commended its reporting features and excellent customer support. Users who gave ClockShark a negative review mentioned that there are times when the software’s GPS would not work accurately. They also said that the app quickly drains their phone battery and consumes too much data. 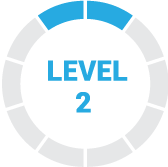 ClockShark offers a single subscription plan that has a $25 base fee + $5/user/month if billed monthly, and $20.85 base fee + $4.17/user/month if billed annually. The annual plan is paid in full at the start of the billing cycle. Ready to try out ClockShark? Get a free trial. Best Time Tracking Software 2018 — Harvest vs Mavenlink vs Toggl — In this guide, we compared the top three time-tracking software for freelancers and small businesses. Read on to find out which among Harvest, Mavenlink, and Toggl works best for your company. How long does ClockShark’s free trial last? ClockShark offers a 14-day free trial for interested users. The trial period can be extended if a user needs more time to explore the software’s features and benefits. Yes. Users get two free months per year if they choose to subscribe to the annual plan. Nonprofits also get an additional 20% discount. Not sure if ClockShark is the right fit for you? 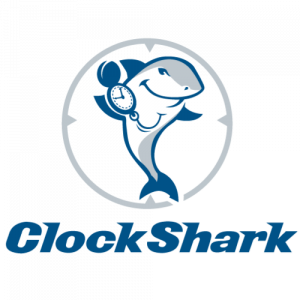 Read our reviews of all top time tracking software providers or check out one of these three ClockShark competitors. I like the tracking function, I can make sure that my employees are really at work they say they are, and then show a customer that they were there if there are any questions about billing. For the most part everything works well. The only problem I have is that when I place a geofence in a job site, a reminder is sent so that everyone can register. I would like you to remember only the employees assigned to that job. What I like the least is the inability to quickly move backwards in the calendar of timesheets to see the record of previous years. We have to move week after week in time until we finally reach the year we want to see in time sheet format. We believe that it should be an option to move by month or year or quarters. Great software to add work hours, excellent tools such as GPS and calendar, good interface and simple operation for anyone to understand. Option to select overtime and add texts, such as what was done on the day or is being developed. I can not mention something that I do not like, everyone in the company agrees that ClockShark is taking us on a good path and super reliable at the time of paying the salary. Deserving that it would have been easier to configure or have a little more help from the support team, we did not know how well ClockShark would work but we took a risk. Clockshark is a good program, we are happy to have it since it allows us in a timely manner to monitor our daily tasks, to see where the work to be performed is located, to take care of the employee, to designate fast way the activity to be carried out, its interface is good and its prices are comfortable for the companies. This software gives us great benefits for the company because it organizes optimal management of this company, through a calendar we visualize the employee’s programming and can be located through the gps, giving us the place where it is going to be done or where it is executing the work assigned to work. we recommend this software because through it we have organized in a timely manner the monitoring of the daily activities of our company. I really like how I can simply click and drag jobs to a different day in the calendar. Also, I am very impressed with the customer service, with someone always available if I had questions. I also like how it is very easy to get used to the program itself. It is an application and a very useful site. Something I do not like about ClockShark is that, if I want to notify an employee that their schedule has changed, there is no option to notify that employee. So he ends up telling all the employees. On my cell phone, it does not allow me to change or access the schedule of all employees. Only my agenda shows yet without letting me change mine. So I just accessed it on my desk. Apart from these, it is quite impressive.